No doubt like so many others you struggle to lose weight. Being one of the largest markets out there, there are countless weight loss products, programs and equipment to be had. How much money have you wasted on them? And what really works? 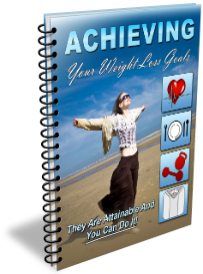 Are you frustrated and fed up with all the methods, diets and pills you have tried? Don’t make your weight loss more complicated than it is, and don’t be down on yourself for failing in the past. There is a way – you can lose the weight you want to! With our busy lives, and more and more technology being introduced all the time along with the conveniences of fast food, it sure is hard to stay active and eat a healthy, balanced diet. But if you know how to do it, it can be done, even with a busy lifestyle. Everyone is busy in their own ways, so there has to be a way for everyone, right? As you may have figured out, weight loss and staying fit are eternally linked. The less active you are, the easier it is to gain weight, especially as you grow older. But when you are active and you have a raised metabolism, you may just start losing the weight without even realizing it at first. We are going to look at all the reasons why we gain weight, who we need to talk to when we decide we are ready to lose the weight, why keeping yourself on a schedule actually helps you to lose the weight, weight loss secrets, plus many other subjects that will help you to learn how to finally take the weight off and keep it off – once and for all!